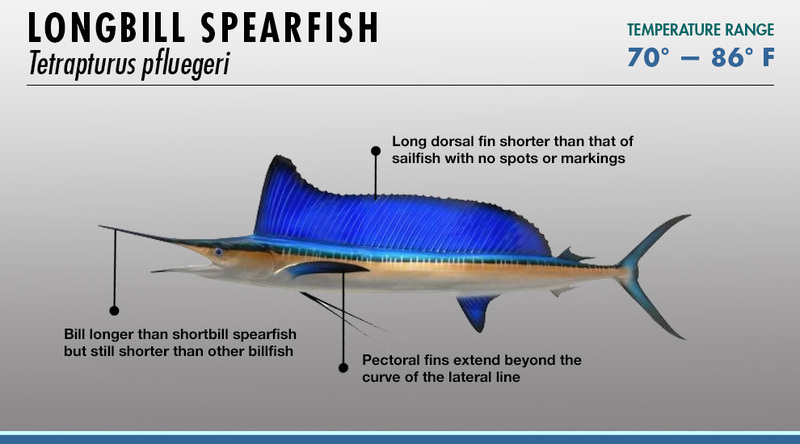 Found in the world's tropical and temperate oceans, billfish are beloved by anglers for their beauty, size and strength. 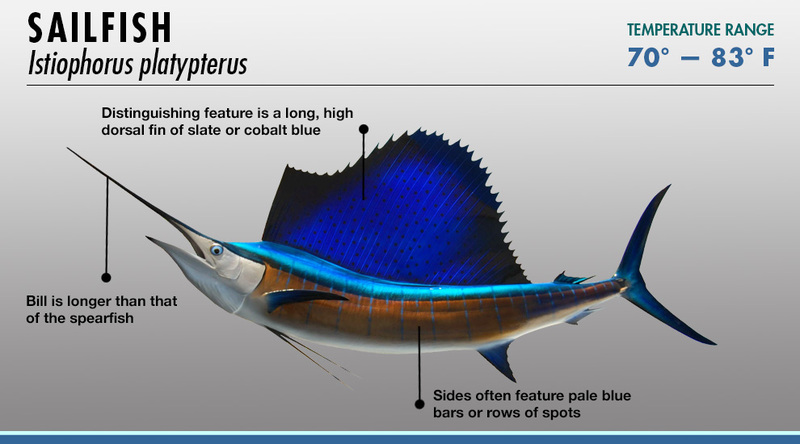 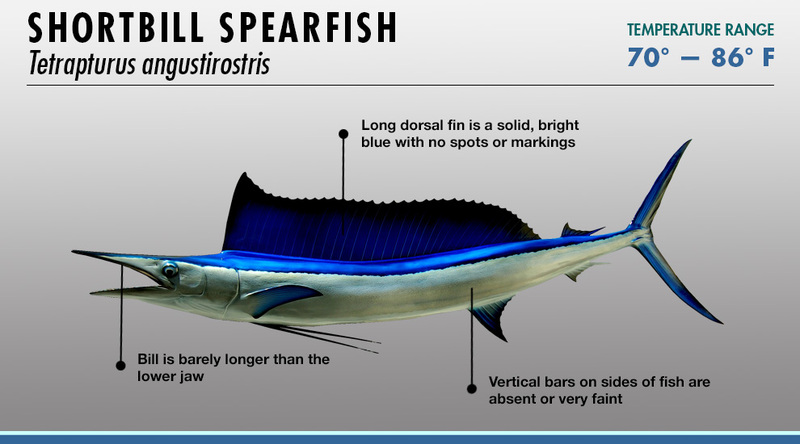 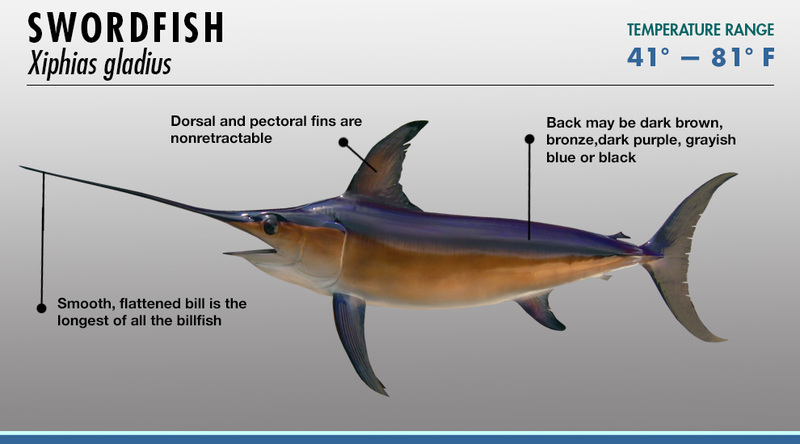 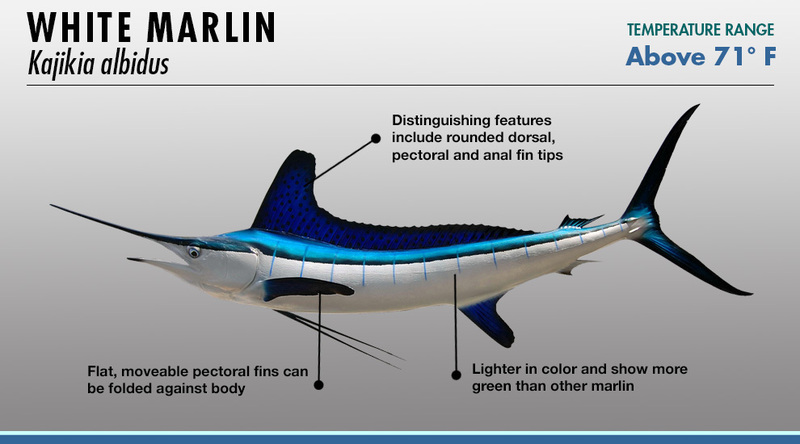 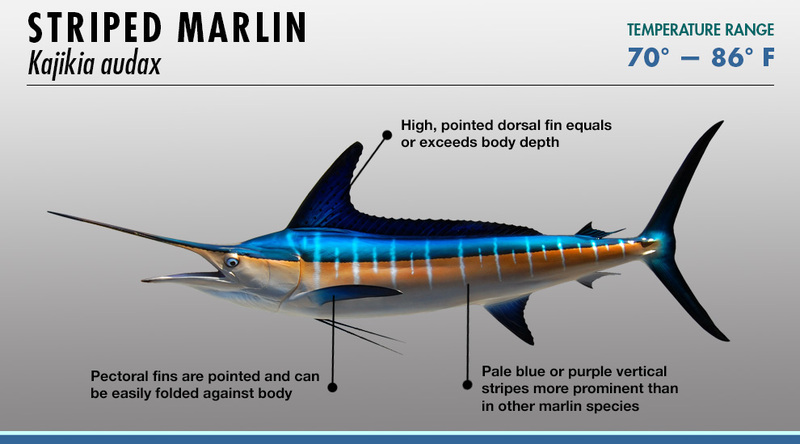 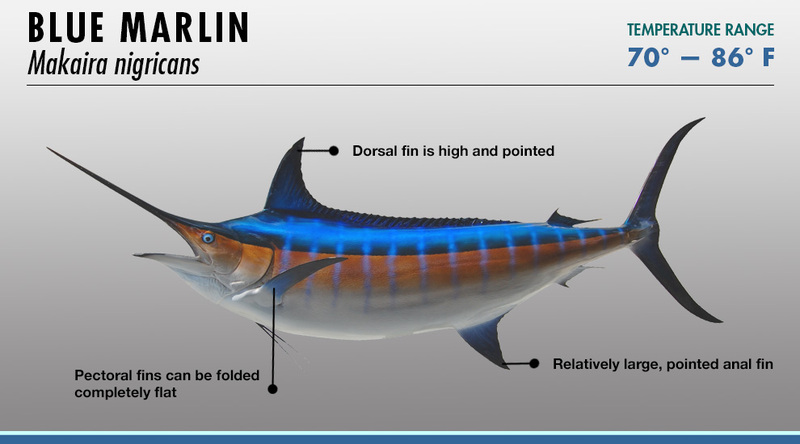 The FishTrack Billfish Identifier explains the various characteristics that make each species unique as well as the water temperature range to find each fish. 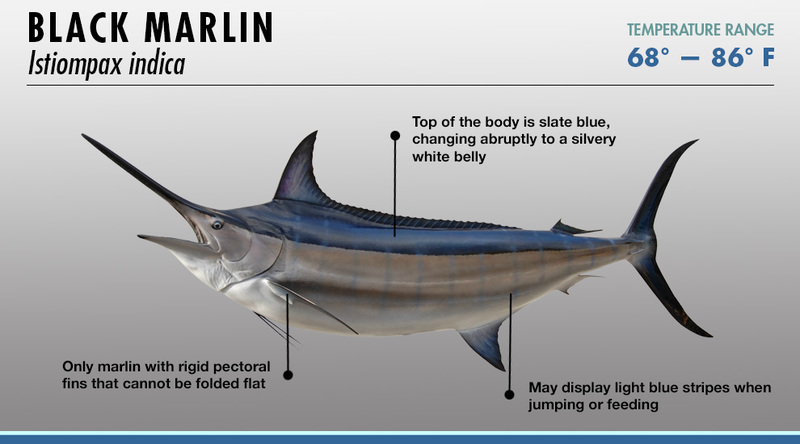 Click on a fish above to get started. 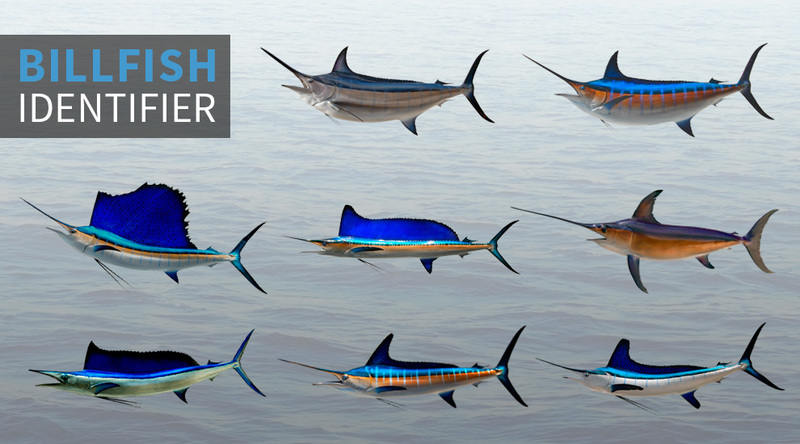 Fish Mounts by King Sailfish Mounts.